Sunday a group of students, teachers and parents will travel across the Atlantic and begin an adventure of discovery, learning, history and connection as they travel to Poland. Myself along with my journalism student and assistant, Emily Farah, will have 9 days of following almost 40 people, mostly students as they explore parts of Poland. The journey will begin in Warsaw, where the group will explore the Okopowa Street Jewish Cemetery, one of the largest Jewish cemeteries in Europe. The tragic pages of Warsaw’s history are commemorated in places such as the Monument to the Ghetto Heroes, the Umschlagplatz, fragments of the Ghetto wall on Sienna Street will also be part of the seminar. The group will also learn about Jewish life in Poland today. On this part of my summer away from home I hope to find the common stories, the yet to be told stories and the narrative that brings this Polish Study Seminar to life in pictures and film. 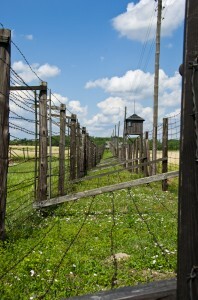 The journey then takes me to one of the extermination camps, Treblinka. I have the honor of again to be accompanied by Howard Chandler, a survivor. His mother, sister and younger brother were taken to Triblinka. 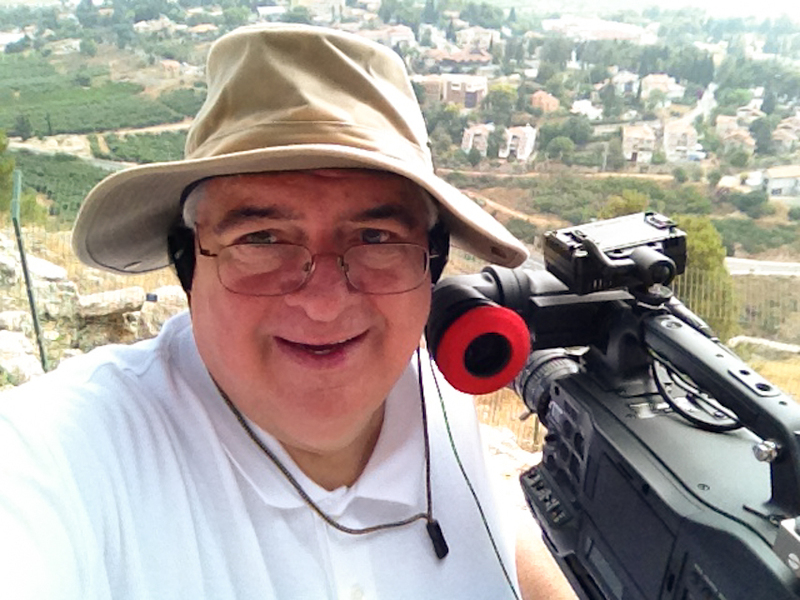 While I was in Israel this week I hoped to interview one of the few survivors of the camp, but our paths could not cross. As in previous “tours” the organizers and guides have no concept of how long it takes a film crew to setup, interview on location and get back on the bus. These are the times to capture the thoughts, not when people have had a nice dinner and showers. 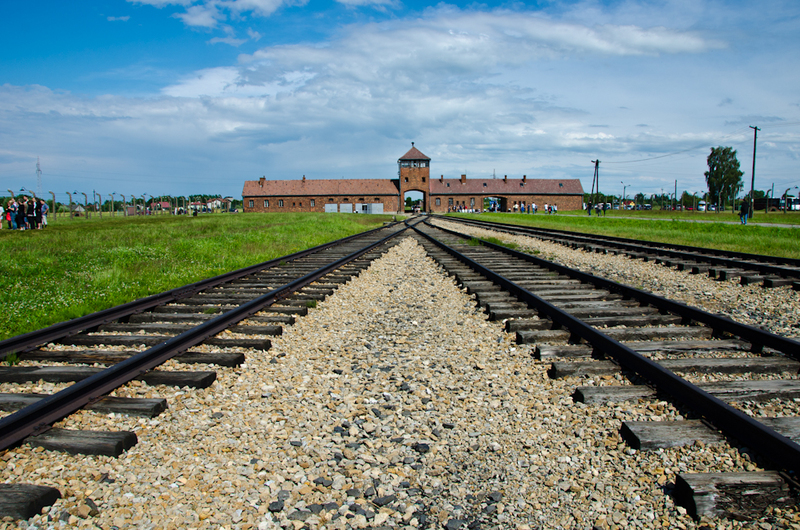 I also will again go to the camps where Howard was a prisoner, Majdanek and Auschwitz-Birkenau near Krakow. 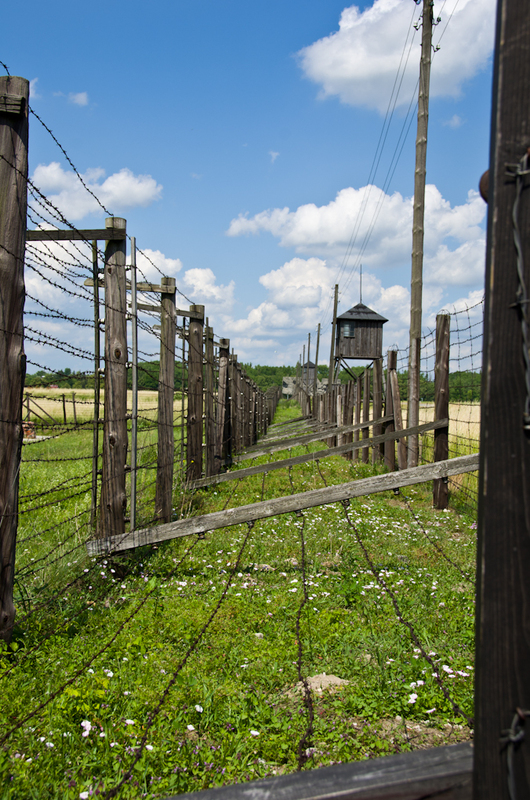 These trips are always a journey that takes the group on a roller coaster of emotions, from the beauty of the Polish countryside, to the dark corners of the camps. Howard, now 84, displays such wit and first person testimony that engages and impresses everyone he meets. He is probably the most remarkable person I have ever met. 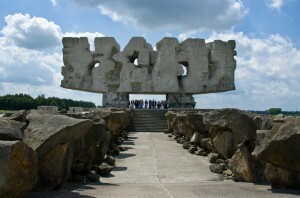 Howard did not spend any time one camp that we will visit, Majdanek, just onside the city of Lublin. The recognizable monument that stands as a watchman over the camp is the entryway to exhibits now displayed in some of the remaining wooden buildings. This is a lot of walking in hopefully nice weather, but the sun can be brutal. Of course I am just visiting, there are so many who died and are buried here. Remembering that I have been here before I have a handle on what to expect, so I imagine the trip to be easier, at least in knowing what to expect. We will accompany Howard, some family members to his hometown of Wierzbnik. Stand in the town marketplace where he was separated from his mother, sister and younger brother. We will see not far from the town the factory where he was a slave laborer. We walk the streets of this small village, see it today and hear the stories of how it was before the Holocaust. The day we spend in Auschwitz is probably the most emotional, but an important part of this study tour and an important time to get interviews, even if just for a minute. This is the run-and-gun shooting some filmmakers talk about. We will also spend some time exploring Krakow and attend the International Festival of Jewish Culture, there will be lots of music and celebrations. 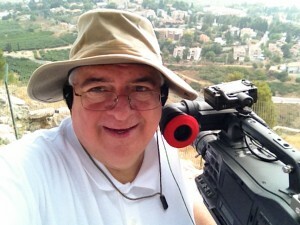 So here is the beginning of another adventure, I am rested and ready to hit the streets. This entry was posted in Poland 2012. Bookmark the permalink.